Microsoft Ignite sparks it up on day one! 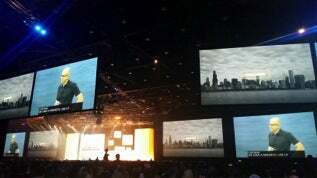 23K+ attendees gathered today at McCormick Place in Chicago for Microsoft’s first ever cross-platform global user conference, Microsoft Ignite. 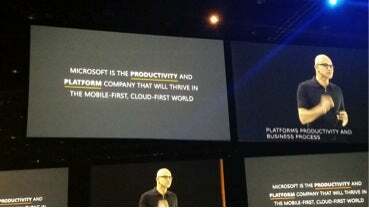 In Satya Nadella’s keynote he stressed Microsoft’s ‘Mobile First, Cloud First’ focus, and how the IT and partner community can change the industry by coming together as one community. ‘It goes beyond tech, it’s the business approach with the partners,’ he said. Microsoft not only said the words, but demonstrated this by showcasing many new products and preview releases across their portfolio. Their focus on Azure, Productivity, Office 365, Desktop and Server excited those of us from Riverbed fortunate to attend the show. Our solutions align very well to Microsoft’s offerings and vision. A great example of this was Riverbed’s prominent inclusion in a comprehensive and well-delivered Azure session ‘Evolve Your Network Infrastructure for Microsoft Azure Connectivity’ by Ganesh Srinivasan. We’re happy to report the show is buzzing with nonstop traffic on the entire show floor, and at the Riverbed Booth. 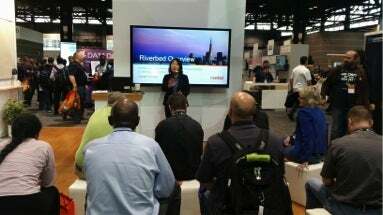 If you’re at the show, drop by and check out the latest Riverbed + Microsoft solutions, booth #261!